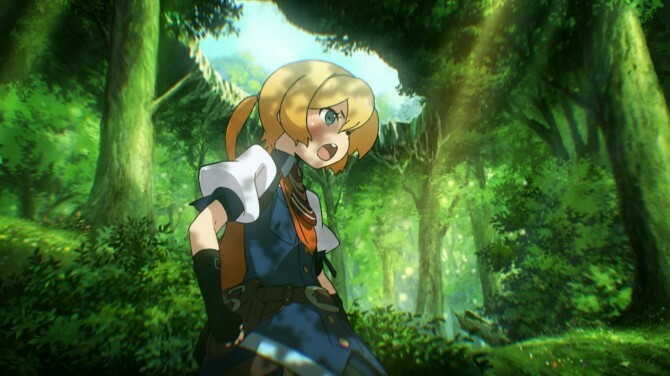 As a series newcomer, I didn’t really know what to expect going into Etrian Odyssey Untold: The Millennium Girl. I’m a huge fan of JRPGs and from the little I’ve seen of other games in the series, they all feature very lovely art and character portraits. But drawing one’s own maps sounded tiring if not novel. I’m glad I put my preconceptions to rest before playing this game, because I was rewarded for doing so with a rock solid, very deep and simply addictive role playing experience. 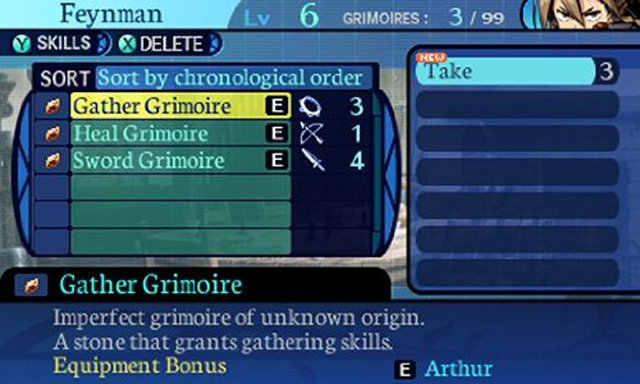 As a “re-imagining” of the first series installment, 2007’s Etrian Odyssey, Untold boasts a formal story mode, something I understand is a first for the series. Instead of creating your own characters and discovering a story within the game’s setting, Untold introduces a cast of likeable characters and weaves a story around them. Of course, thanks to the brilliant decision to include a classic mode, existing fans of the series who would rather do things in a more familiar way have exactly that option. Since this was my first outing and because the game urged me to do so, I went with the story mode. The story starts off simple enough. You are a highlander who has traveled to Etria among many explorers at the request of the Radha, in order to explore the mysterious Yggdrasil Labyrinth and search for the cause of a recent series of earthquakes. One way or another you run into a trio of investigators also looking into the cause of the earthquakes and altogether you discover a girl emerging from a state of suspended sleep, who of course awakens suffering from amnesia. This makes up the main cast. The characters are varied and interesting, and watching the relationship between them develop is rather heartwarming. Together you continue to investigate the labyrinth, while also questing to recover the girl’s memories. Eventually all of these events are linked together and as more of the plot is revealed things get gradually more compelling. The player is allowed to make dialogue choices in certain scenes, but these seemed to have little to no effect on anything significant. The characters are likeable, as well as at the center of many of the events that transpire in the campaign and I quickly got attached to my party. It’s almost difficult to imagine playing this game without them, but I presume they’re missing in classic mode. 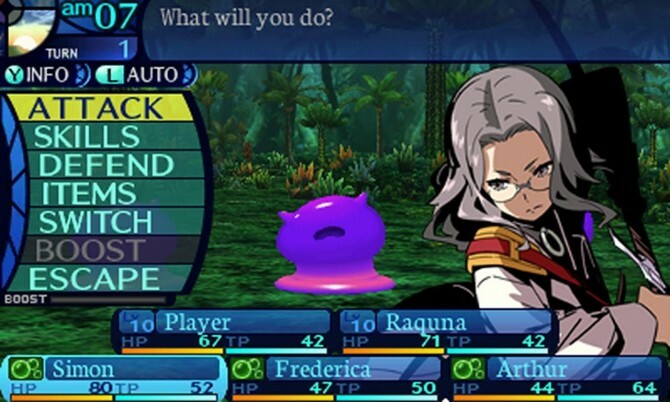 Etrian Odyssey Untold’s visuals are fair. The 3D environments don’t look as detailed or quite as crisp as they do in some other titles on the platform, but the designs are very lovely. 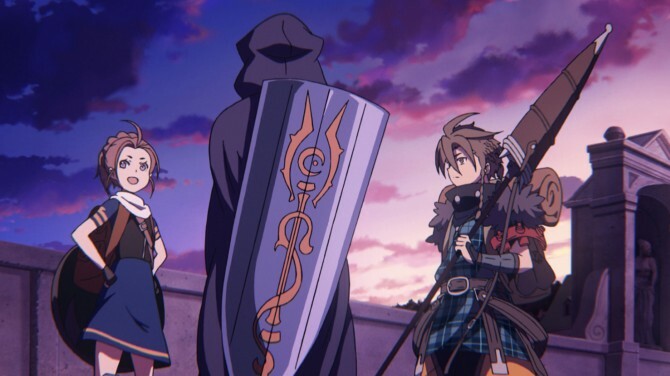 The game also of course features the same wonderful anime art style the series is known for and the character portraits are sharp, varied and detailed. This is best displayed when in town as the shop, inn and other places you can visit have charming illustrations for backgrounds. The enemy models are well done, and they pop from the screen ever so slightly when playing with the 3D slider up. 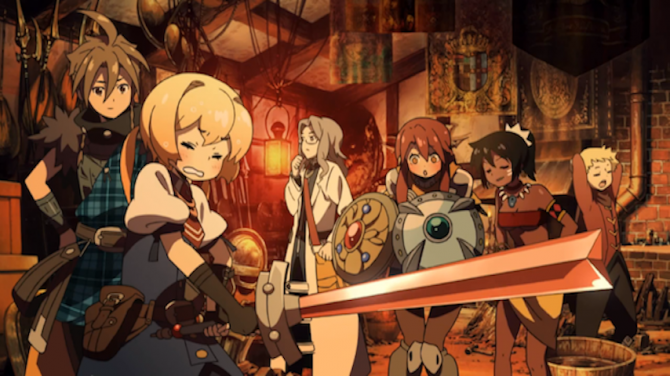 There are also a number of anime cinematics thrown into the game for good measure, although these came far too infrequently, even if that is typically the case with anime cutscenes in games. The game’s unique visuals give it a certain charm, an irresistible one I might add, even if I’d have liked to see a bit more polish in the environments. One area where this game leaves absolutely nothing to be desired is in the sound department. 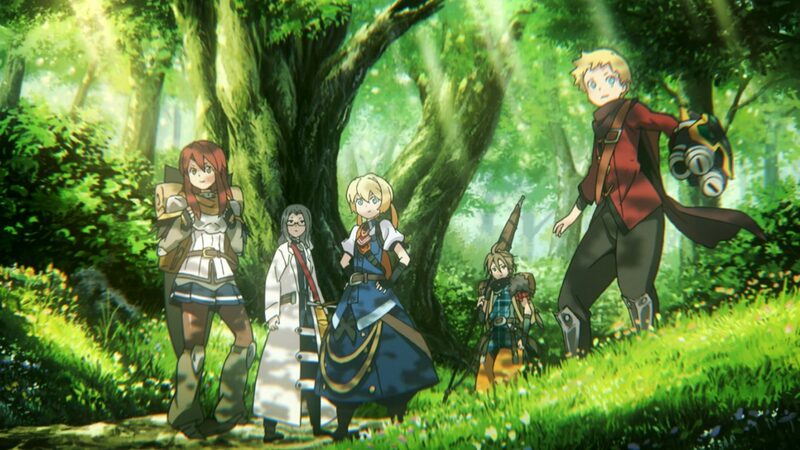 I am downright smitten with Etrian Odyssey Untold’s gorgeous soundtrack. Soft sincere strings and gentle piano melodies run through most of the songs in the game, but the battle tracks are exciting. 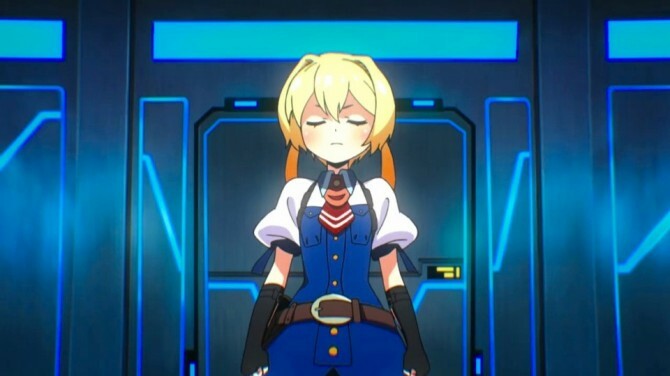 Several of the songs in the game got stuck in my head for long periods of time and there were occasions where I would actually stop playing because I was so enamored by a certain track. From the jazzy number that plays while you’re shopping for items and equipment, to the gentle down tempo track that plays at the inn, to the adventurous, enthralling track that plays while you’re exploring in the third stratum, this game definitely kept my ears captivated the entire time. The string heavy pieces that play during exploration lend a grand feeling to the adventure and it also contributes to the game’s charm. Because I’m so in love with the soundtrack, it should be noted that the tracks in the story mode are redone and arranged compared to the tracks in the classic mode. The game hands you the option of choosing between the new lifelike arranged soundtrack or the old FM synth “classic” soundtrack. I would probably enjoy the synth soundtrack on a classic mode play through just for the sake of immersion, but there was no way I was changing from the arranged soundtrack. The music is befitting of the grand adventure that this game entails. In perfect Atlus fashion, the game’s English voice cast does not disappoint. Raquna (whom I think is supposed to be Canadian?) sounds a tad bit cheesy sometimes, but otherwise the characters sound believable and appropriate. No one’s voice ever irritated me and the delivery was such that even if I could I wouldn’t change to Japanese audio (although for the record I looked and did not see a dual audio option). 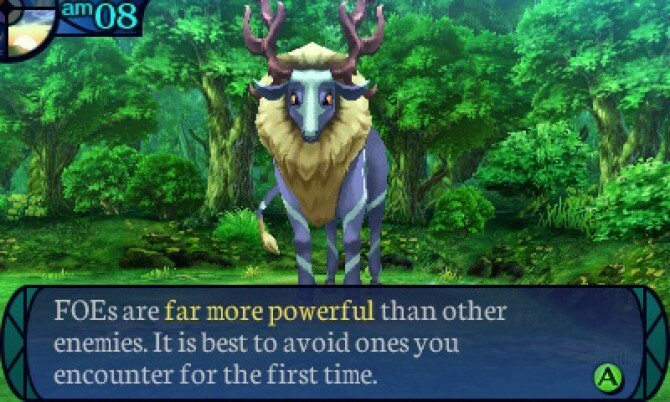 Much of what I experienced playing Etrian Odyssey Untold was new to me, but probably very familiar to long time fans. In order to progress through the game, players are tasked with mapping out huge dungeons and becoming powerful enough to defeat the boss enemies and FOEs. As I said before, I was apprehensive about drawing the maps myself, but shortly after I began playing the beauty of this mechanic became very clear. Charting the locations yourself forces players to explore every nook and cranny of every dungeon, discovering everything they have to offer. Furthering this dynamic is the fact that there are several things happening on every floor that you will want to record. You may encounter a soldier who invites you to his picnic in the middle of the forest, fully replenishing the party, or you may come across a buried artifact that will prove useful later. The stages hide tons of goodies and it’s very important that you document all of it for subsequent journeys through them. Hidden passages, chopping and mining spots, treasure chests and much more hide in the labyrinth, and the best part is that you’ll discover all of it if you aim to complete your map. For all of the dread and fear looming in the labyrinth, there are also plenty of peaceful, serene moments thrown in. You and your party may come across a stream of crystal clear refreshing water, a quartet of birds singing beautifully from high up in the trees or an unusual but delicious fruit growing from a vine. These things lend the game an atmosphere of grandness, making the player truly feel like an adventurer. Before long you’ll eagerly chart every nook and cranny of every area. Some of the floors in the later stratums really put your map making to the test with various obstacles. I once drew a wall where there wasn’t one and this caused me a great deal of frustration. What’s more is you can be rewarded for discovering certain things thanks to the game’s quests, which we’ll talk about in a moment. The game has a day and night cycle, although I do not recall noticing if certain things only happened at a certain time of day. Once you’ve fully mapped out a floor you’ll be able to use the floor jump feature, which is extremely helpful in avoiding too much backtracking. Combat is turn-based and fairly straightforward. In story mode all of the characters in your parties have obvious RPG archetypes that they excel in filling. Simon is clearly a healer and Raquna is obviously intended to act as the party’s tank. However, this tired formula is shaken up thanks to something called Grimoire stones. The stones, which are earned in battle, can give characters access to abilities that they wouldn’t normally acquire. For example, I was able to give Raquna a few healing abilities in case of emergencies, and they came in handy quite a few times. While Simon is a great healer, handing him a katana and a versatile stone allowed him to perform admirably as a ronin in between turns spent healing the party. These stones allow for great flexibility in growing your party, and you can synthesize them, allowing you customize precisely which skills you distribute. This makes collecting them useful and fun, and it’s very exciting to distribute new abilities and see how effective and helpful they are in practice. There is also a decent amount of flexibility in how you build your characters, even in their preset classes, not to mention that you can change the class of your characters outright, which gives them new stat bonuses and abilities. The freedom allowed in customizing and building your characters is truly remarkable, and it isn’t something I’m accustomed to seeing in console JRPGs. Battles are challenging and tense. There is a huge variety of enemies in the game and they all pose a threat. Even on normal mode you could easily die in a random skirmish if you aren’t paying attention. The auto-battle button lets your characters repeatedly attack until you wish to make a specific selection, and while it’s great for mowing through weaker encounters, leaning on it too much will surely get you killed. Enemies are clever and they attack in groups. Enemies on the back line buff and heal allies on the front line, who themselves beat away at the party with everything they’ve got. Status ailments are a huge problem in this game and never have I ever seen the poison ailment be so problematic. Players are encouraged to identify the various elemental weaknesses of enemies and exploit them, which certainly makes most enemies more manageable. The boss fights are very challenging and each of them will put your party to the test. A more present threat than the actual bosses are the FOEs, which are like mini-bosses. You can see these baddies on the map and many of them will chase down and attack the player if you come too close. One thing that adds an extra touch of challenge to the game is the fact that the FOEs continue to move even during other random encounters. You can see them move one space between every turn taken in a battle. If you are anywhere near an FOE when you’re thrown into a random encounter, then you need to end that fight quickly. If not the FOE will slowly head towards your location as the battle rages on and when it gets there it will actually join the fight, complicating things a great deal. If you are knocked out in the battle, the game mercifully offers you a single retry. If you fall again, then you’ll have start over from your last save. The urge to keep exploring when you know all too well that you should return to town and rest up can be hard to resist, and the single retry makes you feel as if you aren’t being severely punished for little mistakes. The game is generally challenging and taking some time to grow your characters and grind a bit will pay off in spades. Of course there are other ways to gain experience, items and money–the quests. Players can take quests from a tavern, and these get gradually more difficult along with the game. One mission involved isolating a single point on my map where a client could go mine for materials, and because of my meticulous mapping I was able to easily isolate such a point. The missions are fun and I was surprised by how many experience points I was rewarded with for completing them. The game’s shop is very interesting in the way it relies on the player to bring materials, dropped by enemies and discovered in the labyrinth, in order to stock items. For example, in order for the shop keeper to produce an item that restores TP, the player needs to bring in amber lumps and until the player finds more they won’t be able to buy the item, which is actually extremely useful in this game. I’m not certain which critter drops the amber lumps, however. 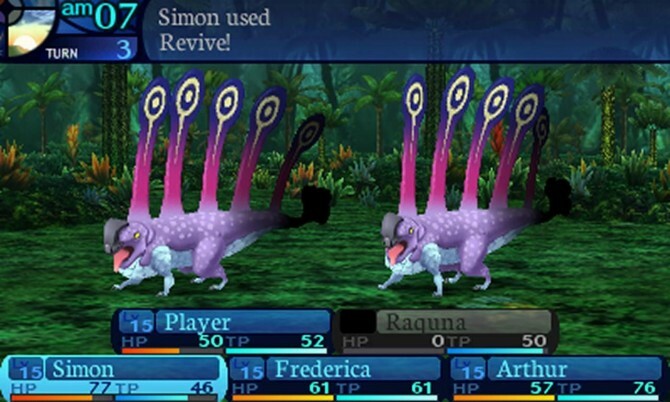 Certain items that genre fans might be used to seeing, such as those that resurrect fallen allies, are not readily available in this game and that adds slightly to the difficulty. It also mandates that you avoid death at all costs while exploring. Selling the drops will also stock the shop with new weapons and equipment. In this way, the strength of the equipment sold in the shop is equivalent to the strength of the enemies you’re currently facing, so it’s easy to see when you should upgrade your equipment. Hunting materials and drops to stock the store can feel a little bit like a grind at times, but it is generally enjoyable. There is an in-game journal which keeps track of all of the monsters you’ve faced, their weaknesses and which items they drop. You can also view all of the enemy models here, monitor your progress through the monster compendium, and look at many more interesting stats. Any completionist will be able to easily monitor their progress through the game. The game’s lone multiplayer feature is the guild card. Your guild card displays many stats about your game, such as the number of grimoire stones you’ve acquired and the number of steps you’ve taken while adventuring. You can exchange guild cards with other players via StreetPass and by generating and identifying QR codes. The fact that we can use QR codes to trade guild cards means that even people who never StreetPass other players can still enjoy the feature by simply hopping on the internet, which is a big plus. Aside from seeing how far along other players have progressed, guild cards can also generate a Grimoire stone, actually making it somewhat lucrative to play around with the otherwise unremarkable feature. In terms of value, Etrian Odyssey Untold packs quite a wallop. 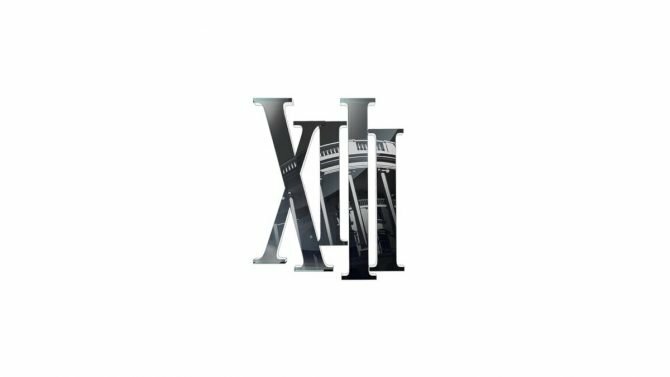 The story mode campaign will easily take well over 50 hours to complete. 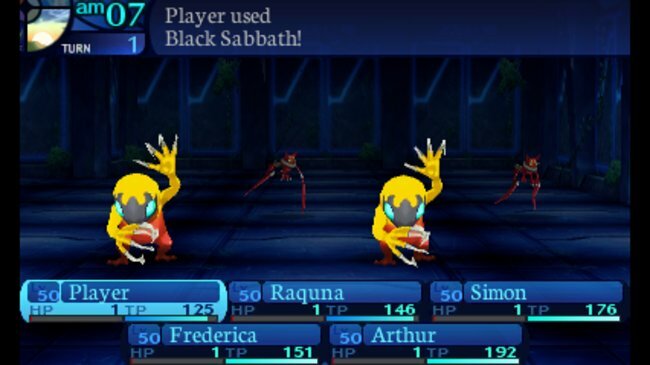 Once you’re finished with that (or before you even touch that, depending on your preference) the game’s classic mode, in which you can create all of your characters and play in traditional Etrian Odyssey fashion, awaits you. 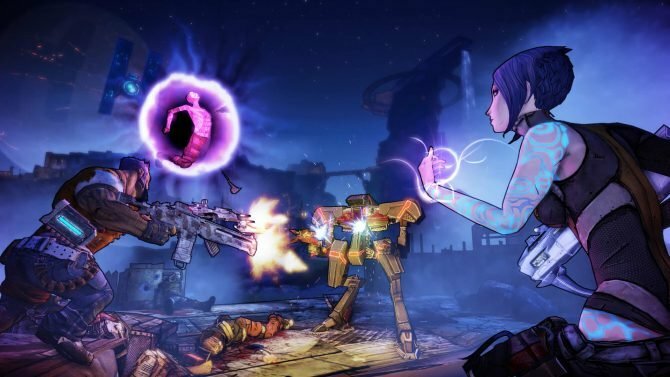 With three difficulty settings, the enormous stratums and two very different modes of play, a fan could easily sink hundreds of hours into this game. This cart will stay seated in your console for a very, very long time. 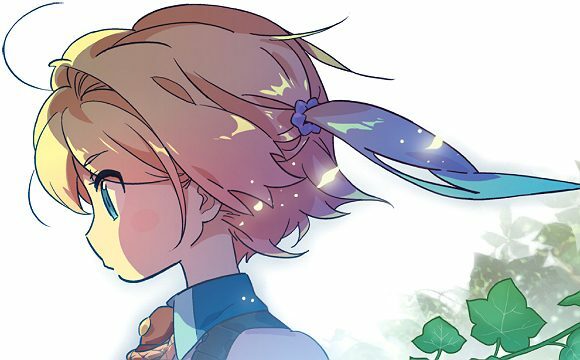 I was very pleasantly surprised by Etrian Odyssey Untold: The Millennium Girl. This grand RPG is simply brimming with content. 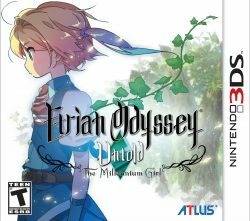 The likeable characters, rich character building, huge sprawling dungeons, challenging enemies, stunning soundtrack, entertaining story and sharp combat combines to make it a simply fantastic addition to the 3DS’s impeccable software lineup. I have logged more than 50 hours into this game after having it for less than a week, and I am so, so very far from having experienced everything it has to offer. 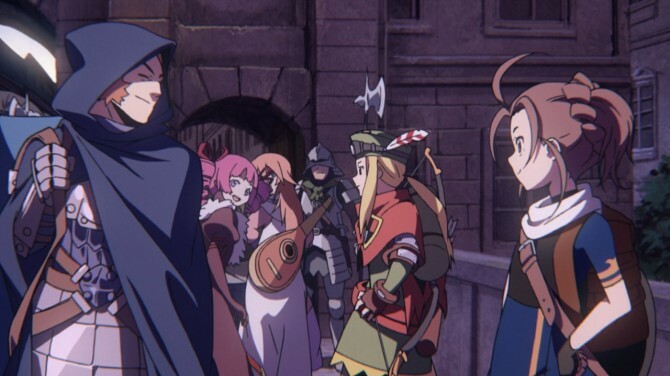 Any fan of the series has mostly likely already purchased this, but if you in any way consider yourself a fan of the genre, then you will not be disappointed by Etrian Odyssey Untold.